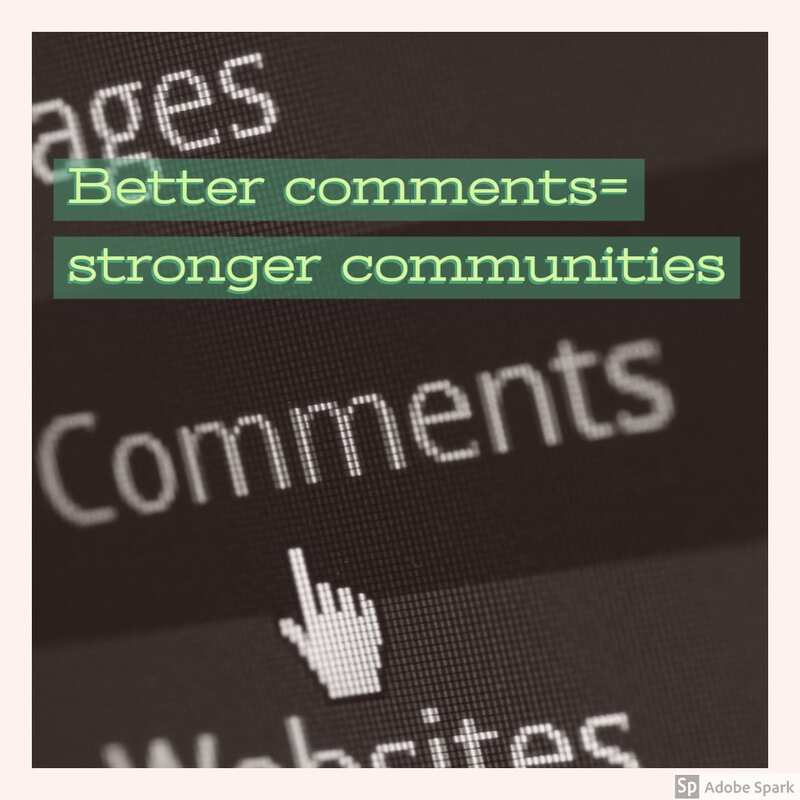 Five steps to get your commenting communities going! Students appreciate a range of options both in terms of post provocation as well as type of post. Allowing students to embed audio or video is an excellent alternative to text. I will often use Padlet as a way to set up menus for different post prompts. This is the example used with grade 9’s first post done in mentor time this year. I will either offer guidance in terms of time to be spent completing the post (20 minutes) or length of post (2-3 minutes of audio or 350-450 words). I always ask students to link to or embed resources explored in the post. I have each student create a ‘commenting log,’ and I have them share it back with me. This allows us to document their journey with digital dialogues throughout the year. This document can be a great resource for end of year reflection if we ask students to explore what and how they learn from their peers. Structure and model quality comments. I have a range of resources I use, and I try not to overuse any one protocol for students to use when commenting on one another’s work. 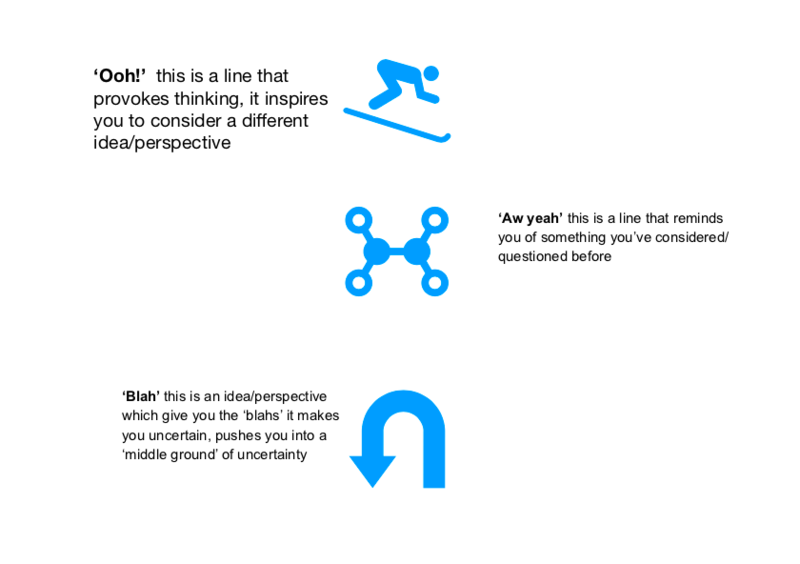 Sometimes I will point students to my ‘Thinking Moves’ slides and ask them to simply pick ONE slide to use to drive their comment. 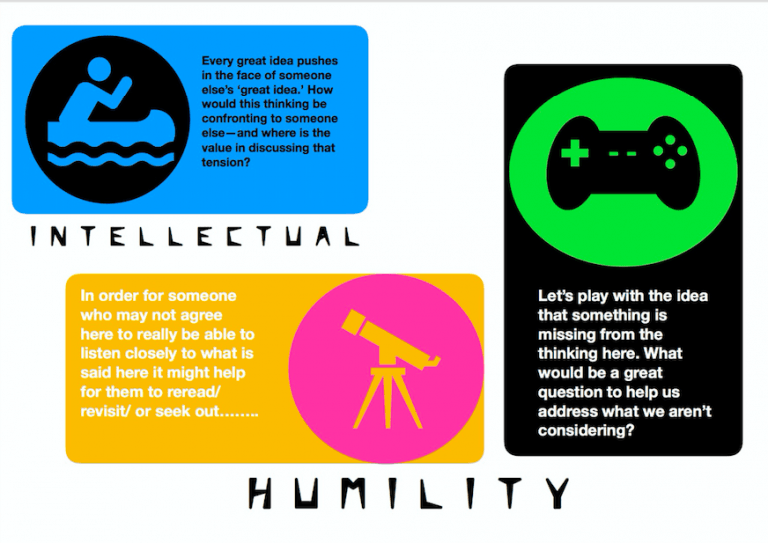 Alternatively, I will use the Intellectual Humility Protocol or ‘Ooh, Aw Yeah, Bla,’ as featured below. I will usually have students hyperlink their post onto a document like this. I will then either simply use a common row as their ‘group,’ or I will change the collar of different cells to distinguish and create groups. I find putting students in a group of four is ideal: this way three other students leave that one student a comment, and that one student reads and responds to three other peers. This is an excellent way for students to gain insight into the ideas of their class community, or to compile resources. Remember that no comments show up on any post until a student has approved it. I usually provide 5-10 minutes for students to moderate comments (a reminder here’s how), and for them to respond and show their gratitude for the thoughtful responses left. Prefer to watch these steps as a video tutorial?